This is a bit unexpected! 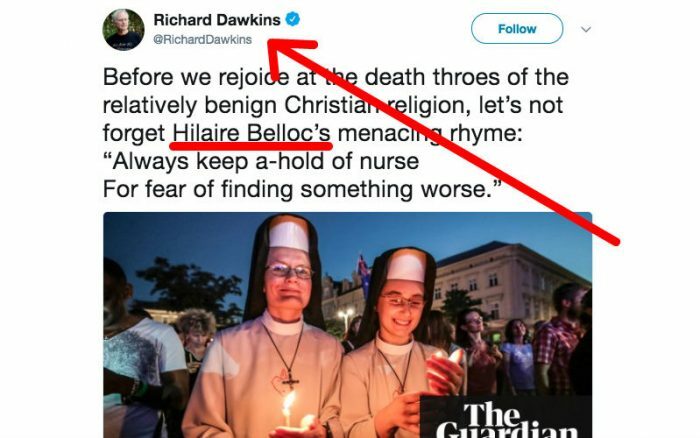 Outspoken atheist Richard Dawkins shared a Guardian article about the decline of Christianity in Europe – and said people should be worried, as well as quoted a Catholic author! 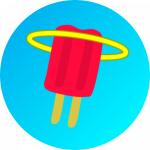 Dawkins has been one of the most outspoken leaders of the New Atheist movement, which has been militantly anti-religion, especially Christianity. 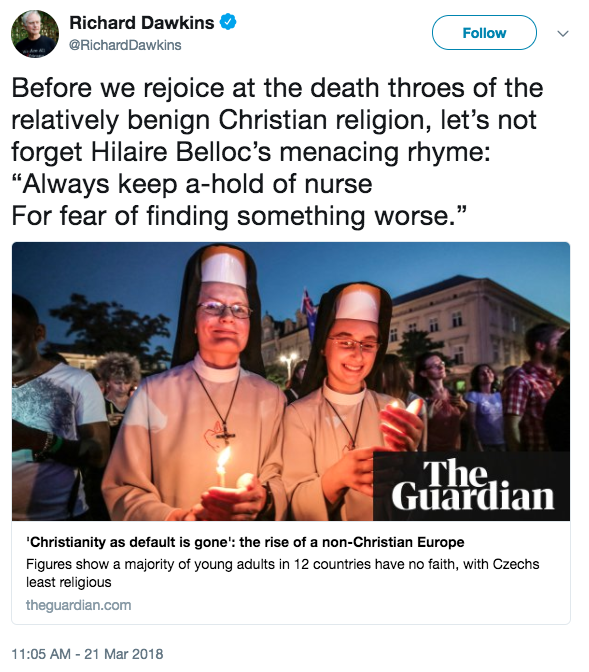 His use of a quote from Belloc is also noteworthy, since Belloc was a famous English Catholic writer in the early 20th century.